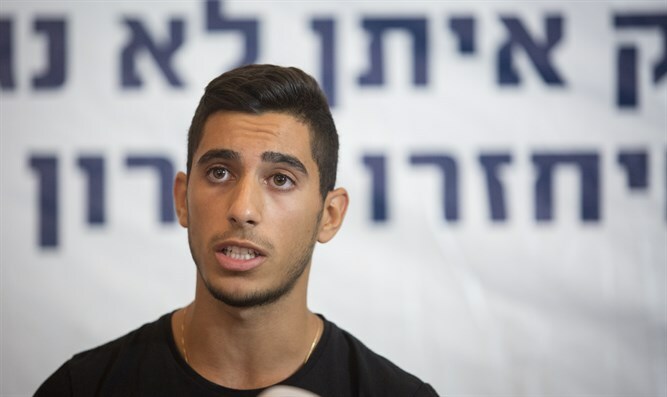 Brother of Golani soldier whose body is held by Hamas terror group drafts into the IDF as a fitness instructor. Joining the IDF. Ofek Shaul. The brother of fallen captive soldier Oron Shaul, whose body is being held by Hamas, joined the IDF on Monday. Ofek Shaul will be a fitness instructor at the Wingate Institute near Netanya after passing training. “I’m in mixed feelings right now,” said the mother Zahava Shaul, who accompanied her son for his first day in the army. “I wish him peace and return safely, and I am waiting for him at home, and I hope that they will watch over him in the army,” Shaul added, hinting at the fate of her son Oron. n addition, two Israeli civilians who went missing in Gaza – Avera Mengistu and Hisham al-Sayed – are believed to be held by Hamas as well. Last month Ofek spoke about his brother for the first time during a rally urging the government to bring Oron’s body home. The Shaul’s and Goldin’s were infuriated after reports suggested that a potential long-term deal with Hamas would not include the return of their loved ones to Israel for burial.